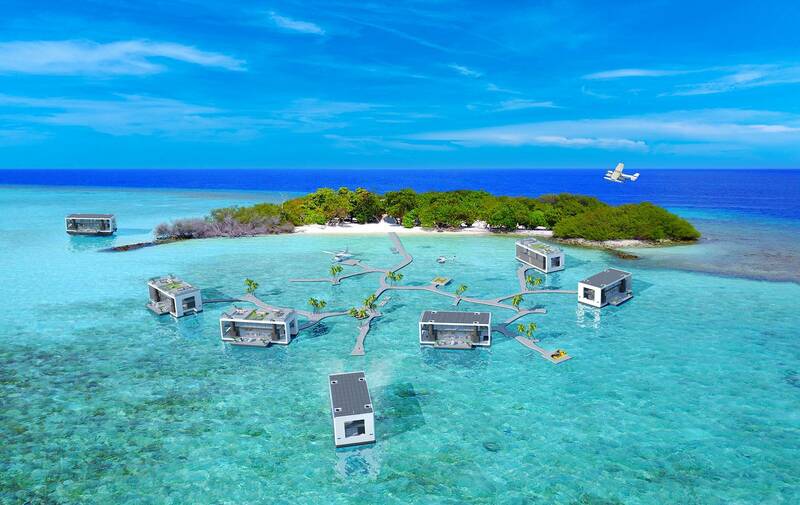 ARKUP is an innovation in marine luxury combining attributes of yachts, floating houses and waterfront villas. 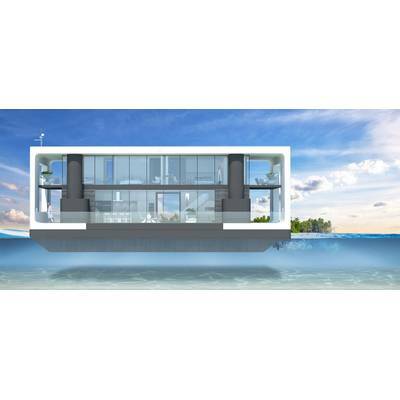 Poised to become a pioneer in a new coastal market of floating communities, this rectangular, bi-level, floating luxury home is self-sufficient, sustainable and environmentally friendly with next-to-no footprint. 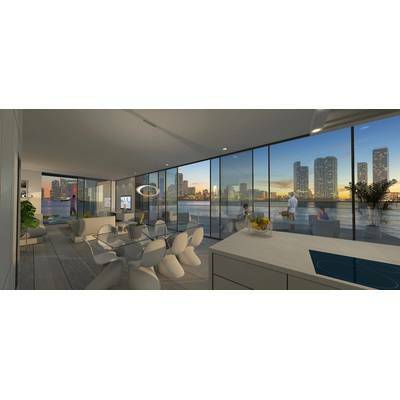 The prototype resembles a chic, Miami-Beach condo, abounding with natural light, abundant space and luxurious appointments. 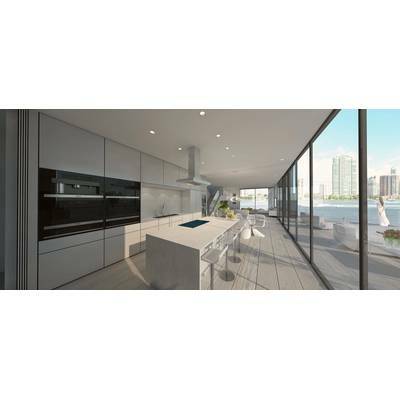 Immersed in tasteful, muted, monochromatic tones, floor to ceiling glass walls provide a 270-degree panoramic view with two decks and multiple terraces for 2,600-square feet of indoor living space. 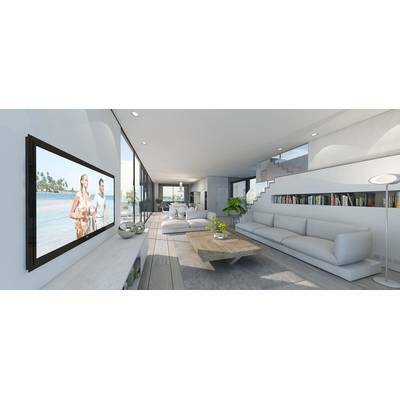 ARKUP’s mobility allows the owner to draw anchor and cruise at will for their ideal perspective: city view, secluded anchorage or remote backwaters. Able to cruise 20 miles on a single charge, ARKUP is self-propelled, mobile and self-elevating with hydraulic spuds. 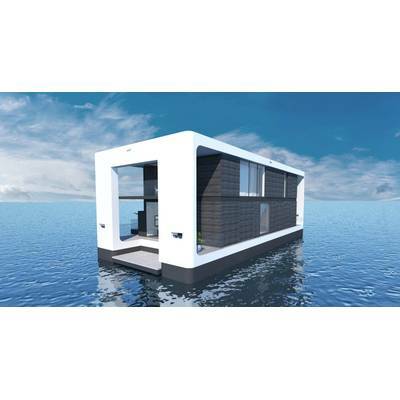 Integrating solar power, rainwater harvesting and smart home automation within 75-feet LOA, she is USCG classified as a recreational vessel, not a houseboat, with a beam of 32-feet. She cruises at four knots with a max speed of seven knots, propelled by two 100 kilowatt azimuth electric thrusters. 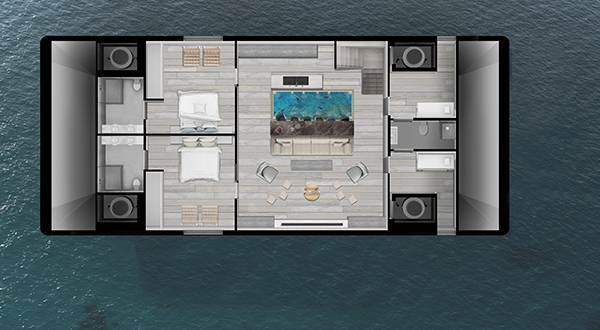 Her draft is five feet, allowing her to access waterfront space too shallow for some conventional yachts. 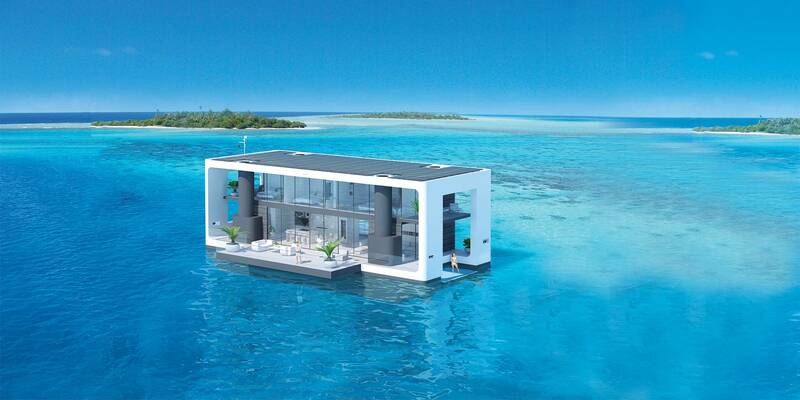 No fuel or shore power is required because everything is solar-powered. There are no utility bills for electricity or water; as long as there’s sunshine, ARKUP lives off the grid. 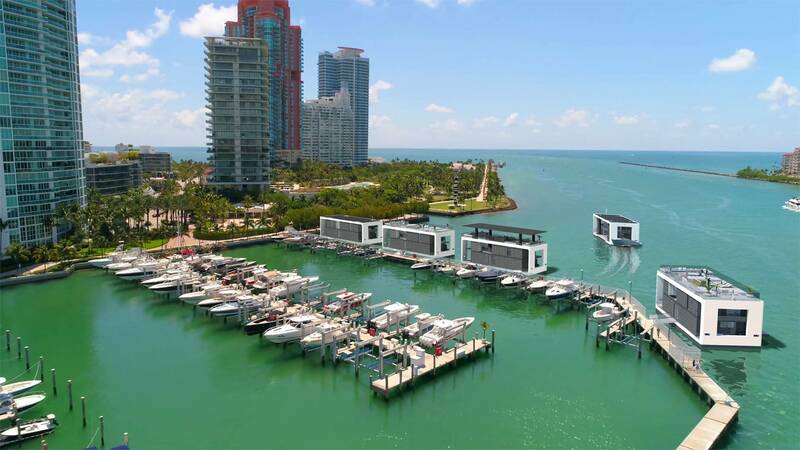 The solar panels generate 36 kilowatts of power and the batteries hold as much as one megawatt hour of power storage, ensuring enough energy to operate boat engines and household needs indefinitely with sufficient sunlight. While she could be relocated to avoid any storm, ARKUP is designed to withstand a Category 4 hurricane. She provides stability up to 155-mph winds when elevated on her hydraulic pilings, lifting the structure for surge protection. She can be owner-operated but includes accommodations for captain and crew. 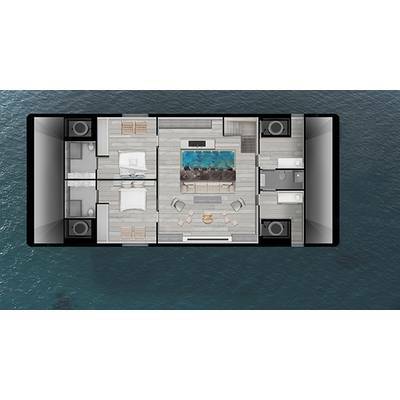 “We have a buyer for Hull #2,” said Nicolas Derouin, co-founder of ARKUP, who added there are ongoing discussions with potential buyers for Hull #1. 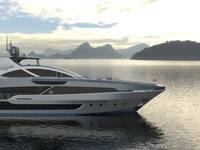 “She will be displayed on Star Island during Miami Yacht Show." Donald L. Blount & Associates partnered with ARKUP for marine engineering and naval architecture. 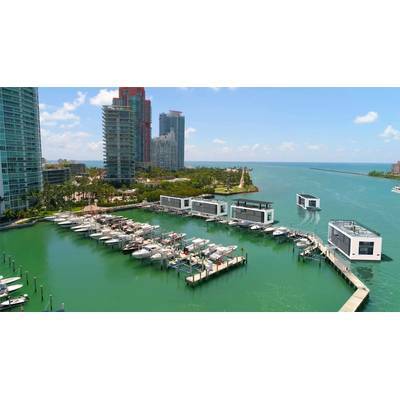 The prototype was built at RMK Merrill-Stevens Shipyard in Miami. 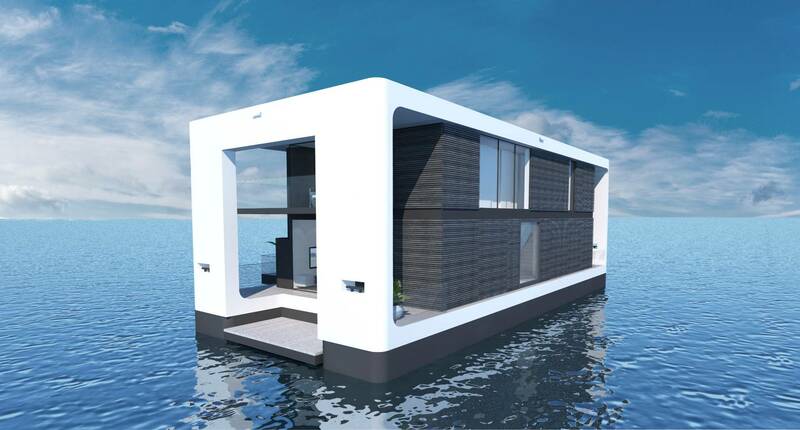 The hull and superstructure are constructed of certified modular steel as per Bureau Veritas.